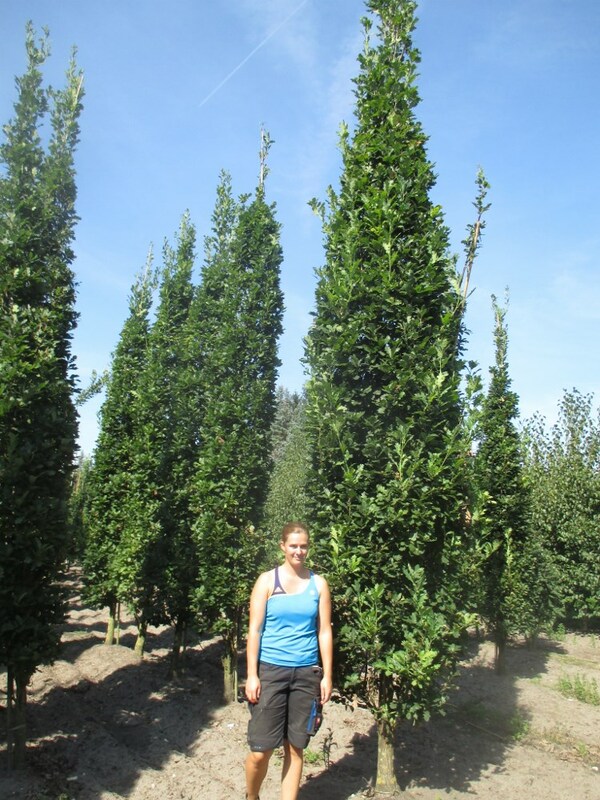 Quercus robur Fastigiata is a columnar form of English Oak suitable for screening or avenue purposes. This tree has a deeply lobed, glossy green leaf which is characteristic of its parent; the foliage turns golden brown in the autumn and will remain on the tree throughout the winter period in less exposed conditions. The acorns appear in the autumn time and are a welcome addition for wildlife. It will tolerate most soils, but is particularly tolerant of heavy clay.